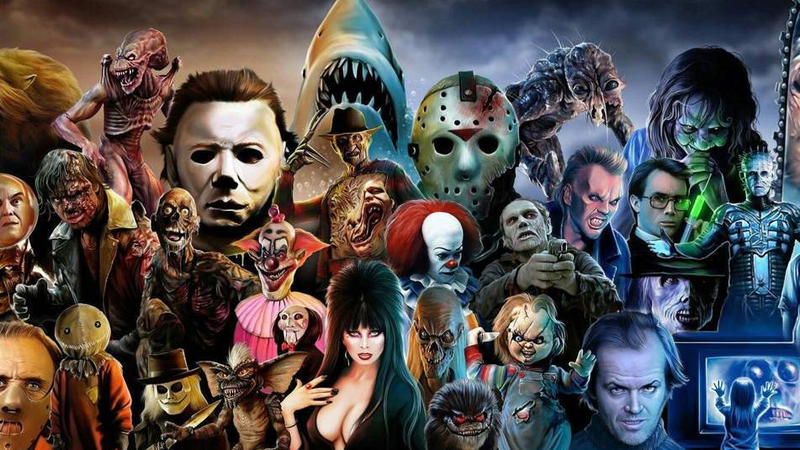 Do horror remakes live up to expectations? If you like horror films, then you will have seen a lot of remakes, unless you’re one of those people who have a rule never to watch a remake – and those people are very strange. There is no doubt that for some people, no remake is ever justified. Each piece of cinema history, particularly if they saw it at a pivotal time in their childhood, should be left untainted, even if it sucked. That’s a little extreme, however. It’s true that many horror remakes appear to have been motivated by nothing more than money: the chance to cash in (again) on the appeal of the original, after a respectable interval of time has passed, and with the excuse that the original needs to be “updated”. However, even if financial reasons are behind many remakes, this doesn’t necessary mean that the remake is going to be bad. As Hollywood insider Ryan Kavanaugh will tell you, the process of bringing a film to the big screen is long and complicated, and whatever the original inspiration, the final product may end up looking very different. Perhaps the best way of settling this debate is to present the evidence and let you make up your own mind. Here are a few remakes that lived up to expectations and some that, er, didn’t. John Carpenter’s 1982 remake of the 1951 original can claim to be one of the best horror remakes ever. A thrilling, gruesome retelling of the story of a shape-shifting alien, it failed at the box office, but its reputation has grown ever since. In the case of The Fly, the 1986 remake actually improved on the 1958 original. David Cronenberg reimagined the original with stomach-turning special effects and a plot that turns up the horror minute by minute to great effect. Brian De Palma’s 1976 take on Stephen King’s first novel is a classic of the genre, but Kimberly Peirce did a great job with her 2013 version of the story of a girl with telekinetic abilities who wreaks her vengeance on school bullies and her evil mother. Another film from 1958, the original was entertaining enough, but the 1988 remake took the story of a blob of space goo attacking a small town in an exciting new direction, entwining a satire on the military around a plot full of genuine horror and biting humor. To take on a remake of a George Romero film and actually improve upon it is a pretty impressive achievement, but that’s what Breck Eisner managed in 2010 with his remake of the 1973 original, turning a slightly chaotic story about a town that descends into madness into a twisting, turning horror-fest that gripped audiences. The original, by William Castle in 1960, was hardly a classic, but it did a good job of offering some moderately exciting thrills and chills for the horror audience. However, the 2001 remake managed to lose even these qualities, opting for ill-judged humor, an incoherent script and fussy, jittery camerawork that serves only to give the audience a headache. This is another example of a remake failing to exceed even moderate expectations. The 1979 original, based on the horror cliché of crank calls coming from inside the house, was a taut if unremarkable little thriller, but the 2006 version is one of those puzzling examples of a horror film without any horror, or even mild surprises. John Moore’s 2006 remake managed the impressive feat of taking a story about a child who may be the son of the devil and making it boring. There is none of the slow, creeping build-up of Richard Donner’s landmark 1976 original, and the whole thing seems kind of pointless. No, I haven’t changed my mind about John Carpenter’s 1982 remake. For reasons that are not entirely clear, there was another remake in 2011, which suffered from an excess of unconvincing CGI, turning a chilling spectacle into an expensive yet dull cartoon. So, do horror remakes live up to expectations? That depends on what your expectations are. Perhaps the best approach to remakes is to forget all about the original, watch the film as though the original never existed, and let it succeed or fail on its own terms.